As you know, our network is open to both project cargo forwarders and companies who handle heavy lift, as stated on our About PCN page. As we are a specialist organisation, it is important to us that only companies who are active in these sectors remain in PCN. 91% of Members passed our strict Evidence Audit! 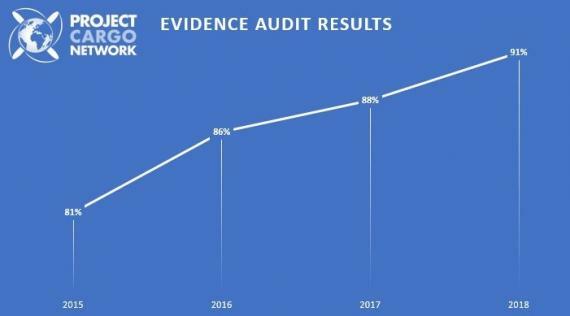 Since the Evidence Audit launched, the PCN Head Office has identified and replaced 29 companies who either didn't respond, failed the audit or didn't attend our annual networking events. We do of course, take into account the current political and economic situations of certain countries. The audit is working well and we have seen a continual increase in the percentage of Members who have passed, which means our network is getting stronger and stronger. If you have any questions, please email Rachel.